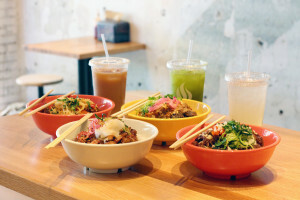 Recently opened Wok Street, by the team that created Philly’s favorite sushi Burrito (Hai Street Kitchen & Co.) has a great Memorial Day promotion this weekend! Now until May 29, 2016, stop by the store and receive a FREE beverage of your choice with the purchase of a bowl or banh mi sandwich. For exclusive details, visit their Facebook on how to redeem the offer. 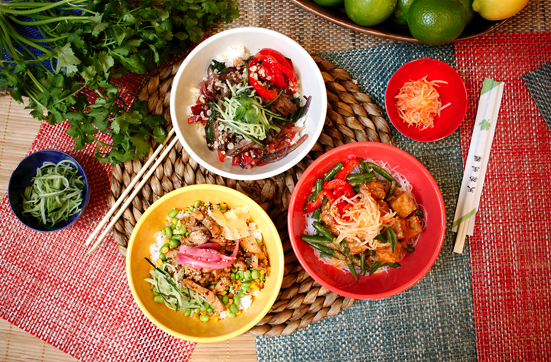 Wok Street serves Southeast Asian inspired rice and noodle bowls and bahn mi sandwiches, handcrafted with seasonal vegetables and proteins in a fast-casual environment Located at 1518 Chestnut Street, Philadelphia, PA 19102, Wok Street is open daily from 11 a.m. to 9 p.m.
Linvilla’s Annual Strawberry Fest is Back! 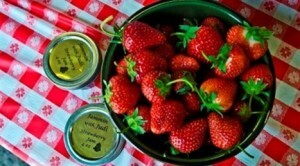 Linvilla Orchards’ Pick Your Own Season is set for take off on Saturday, June 4, 2016 with this year’s Strawberry Festival. Enjoy a Space Adventure themed day filled with fun activities the whole family will love. Makin’ Music will be hosting and bringing music, games, prizes, crafts and more! Don’t miss Delaware Valley’s largest strawberry shortcake being unveiled at 11 a.m., baked right in Linvilla’s own bakery! Later in the day, take a break from strawberry picking to hop on the Playland Express for a one acre train ride through Linvilla. Stop by The Barnyard to hang out with the goats, horses, deer, and other furry friends, or drop a line in Orchard Lake to and snag a catfish or two (no fishing license required). And you don’t want to leave Linvilla without stopping by Jammin’ with Judy at the Farm Market from 11 a.m. – 2 p.m. to learn how to preserve your freshly picked berries. As always, there is no entrance fee, so make your way to Linvilla Orchards, located at 137 West Knowlton Road, Media PA 19063 for a free, fun-filled day for the entire family! The rain date for this year’s Strawberry Festival is Sunday, June 5, 2016. For questions, please call 610-876-7116, email at info@linvilla.com, or check out the website, www.Linvilla.com, for more information. 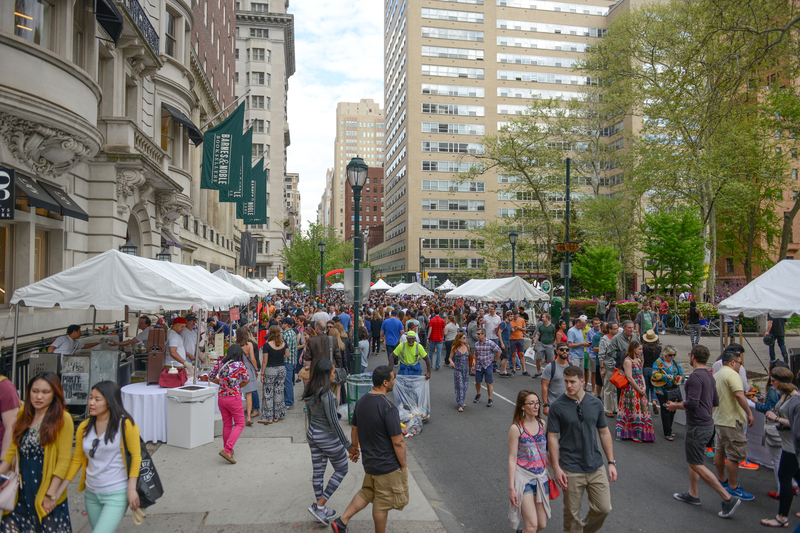 Renowned as one of Philadelphia’s most popular spring events, the annual Rittenhouse Row Spring Festival will be back for yet another day of fun on Saturday, May 21st from 12 p.m. to 5 p.m. The celebration consumes just about six blocks of Walnut Street for the day, spanning from Broad to 19th Street. The space is utilized to showcase the neighborhood’s mouth watering food, stylish vogue, and countless artistic expressions. 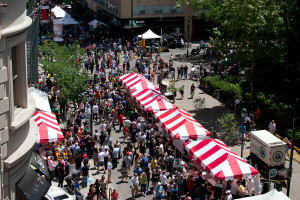 The festival attracts more than 50,000 people for a Saturday of non-stop enjoyment for individuals of all ages. 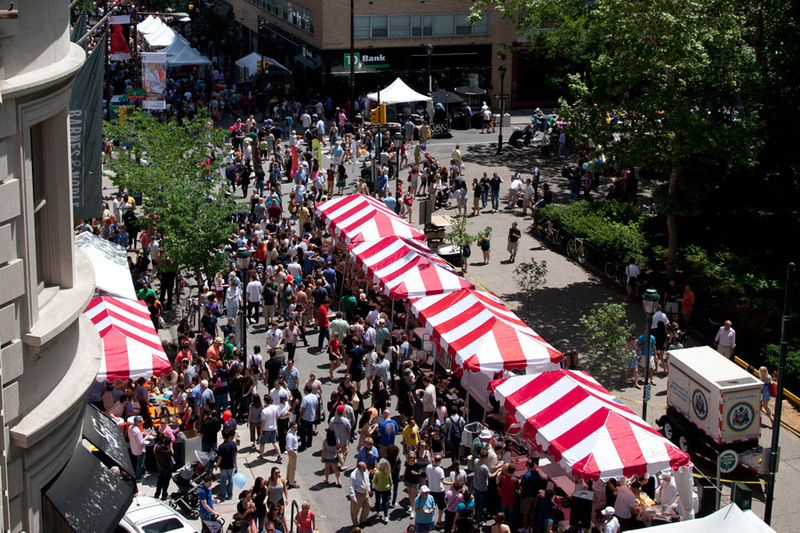 This year, over 100 booths will feature street cafes, art displays, beauty demonstrations, fashion design, culinary demonstrations, beer and cocktail samplings, live music, and even food trucks. Make your way over during the only time of the year this area is closed to traffic and support the best Rittenhouse Row has to offer! The event is free to the public. 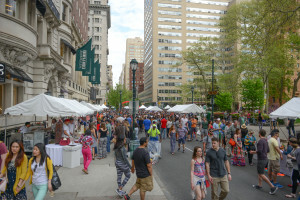 For more information and a list of participants, visit http://www.rittenhouserow.org/events-1/. From the team that brought you your favorite sushi burrito, Hai Street Kitchen & Co. is now unveiling a brand new fast-casual restaurant concept, Wok Street! This wholesome Southeastern Asian eatery is opening its doors at 1518 Chestnut Street for the first time this week. Wok Street will serve authentic, all natural flavors and healthy ingredients, both quick and affordable for its customers. Their staple offering will be signature hand crafted rice or noodle bowls with seasonal vegetables and marinated proteins. Their menu will also includes Banh Mi, summer rolls, house made drinks, and more! To kick off their grand opening on Thursday, May 12, Wok Street will be offering complimentary lunch to the first 300 people who arrive, beginning at 12 p.m. Make sure to take an early lunch break and head over there to be one of the first to experience some of the best Southeast Asian cuisine Philadelphia has to offer. Wok Street is located at 1518 Chestnut Street, Philadelphia, PA 19102 and will be open 11 a.m. to 9 p.m. daily beginning on Friday, May 13, 2016. For more information, call 215-693-3010 or visit www.wokst.com.